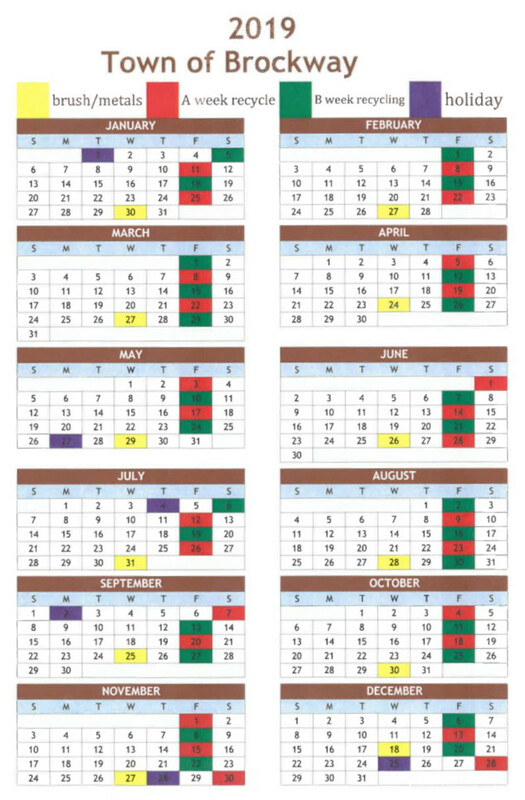 The new 2019 trash pick schedule is now available. Several area residents have, upon advice, tested for Radon and found their numbers far higher than the EPA failure standard. While Radon (and other soil gases) are often / generally higher in the Winter; these failing readings were in Spring and Summer…so the Winter Vs have likely been even higher. Click here to learn more …..
I’ve been asked on numerous occasions, “hey Norm, when we gonna get a website”. Usually I just kinda avoid it with “maybe someday”. Well, I’m pleased to announce that “someday” has finally arrived. 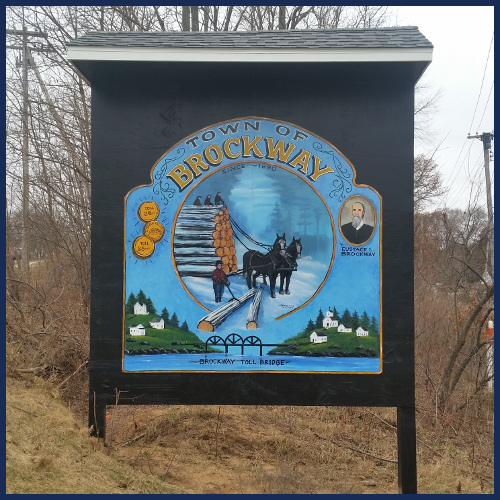 The Town of Brockway website is a community resource that we designed to serve our residents. We provide answers, and informational links to our most often inquiries. You’ll find ordinances, meeting minutes, local resources, county resources and tax information just to name a few. Our website also serves as a gateway for visitors, vacationer’s, travelers, and new business. We showcase all that Brockway has to offer including many of our most beautiful natural resources like Lake Wazee, Castle Mound, and Perry Creek. Now that someday is here, we welcome your thoughts about the website and what you’d like to see to make it better.